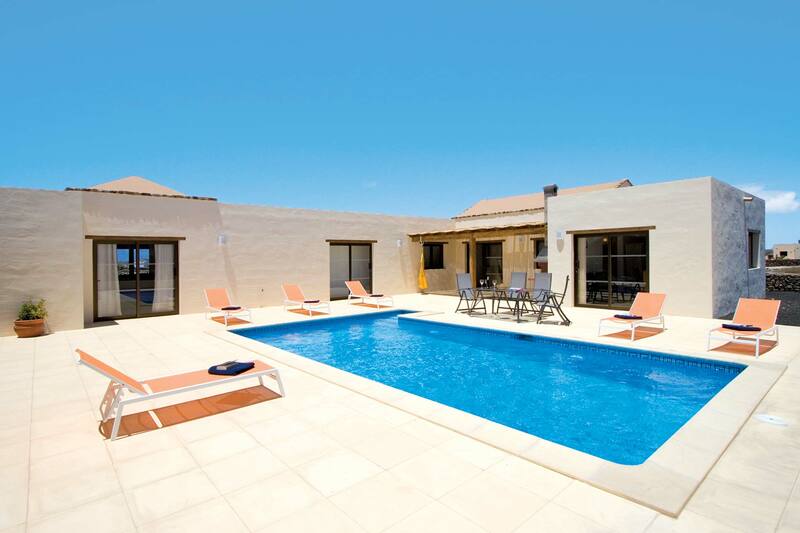 Villa de Suenos is situated in the small village of Lajares. The local amenities can be reached within a short drive, while the nearby resorts of Corralejo and El Cotillo are a 10 minute drive away. 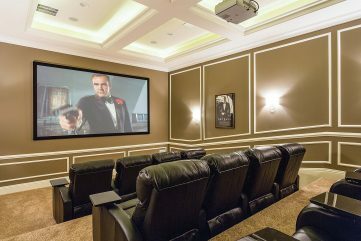 Decorated and furnished to a high standard throughout, the villa is very spacious and has the added attraction of air-conditioning, an Xbox 360, DVD player and plasma TV in the lounge. Externally, the pool is sheltered from the wind and is very private. You will also find a fantastic built-in barbecue with great outdoor dining facilities on the large terrace. * Flight & car hire / transfers available as a supplement. Excursions available. 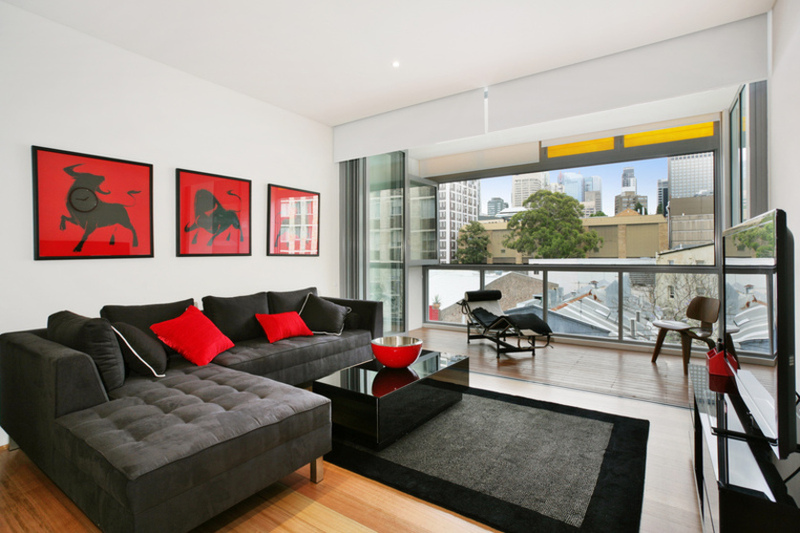 Whether your trip to Sydney is for business or pleasure, this modern 2BR Darlinghurst apartment has all your bases covered. Offering a split-level design, with open plan living upstairs and bedrooms downstairs, the apartment is meticulously presented with everything required for your short-term stay. 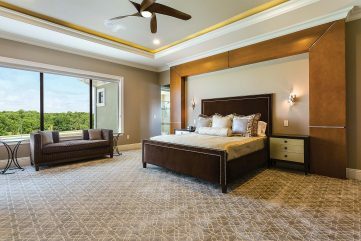 The master bedroom offers a queen bed, while the second bedroom provides 2 single beds and an extra trundle bed that can be made up for a 5th guest upon request. The central bathroom also provides a European laundry with washing machine and dryer. The upstairs living space offers a fully equipped kitchen, modern dining setting and large comfortable sofa setting, with a large HD tv and platinum Foxtel package. As with all Uptown Apartments, all linen and towels are provided, there is a Nespresso coffee machine along with an initial supply of capsules ready for you to enjoy, and wifi access is provided free of charge. The location of the apartment is second to none, surrounded by trendy cafes and bars, upmarket restaurants and boutique shops. You can walk to the CBD in under 10 minutes, and can find yourself arriving by bus at Circular Quay or Darling Harbour in a matter of minutes. From Circular Quay you can catch a ferry to Manly or Taronga Zoo to experience Sydney from the water. To the east, the sights and sounds of Bondi Beach and Paddington are also a short bus trip away. With all this on your doorstep, this apartment really is your first choice for Sydney accommodation. Though parking is not included with this apartment, it may be available upon request, subject to availability. * Flight & car hire / transfers available as a supplement. Excursions available. From our carefully curated portfolio, we present; The Rouge. The Rouge is a 3 bedroom and 3.5 bathroom apartment. Each bedroom is equipped with a cable TV and DVD and home theater. The bedrooms consists of a suite with a dressing room, a room with a full bed that contains a pull out bed for guests, and a regular bedroom with a closet. During your stay in The Rouge you can head down to South/Miami beach and enjoy the sun and the beach. You can also take advantage of the fine restaurants and the shopping centers nearby. * Flight & car hire / transfers available as a supplement. Excursions available. This tasteful stone built villa is set in the rural village of Argaka with a backdrop of majestic mountains. Tastefully designed and decorated by its owner, Androulla is a spacious property with a lovely poolside terrace providing the perfect spot for lazy days in the sun or dining alfresco with family and friends. 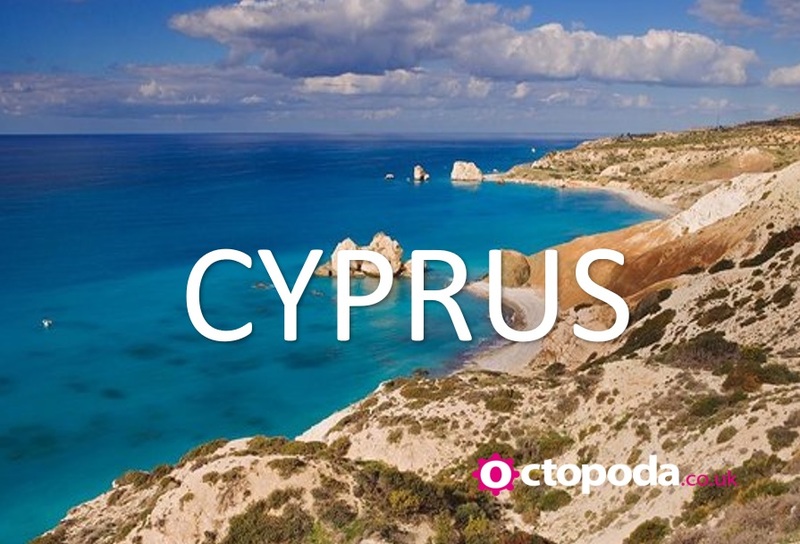 A small selection of tavernas and a mini-market are located in the area as well as a fabulous bakery offering mouth-watering local savouries and bread. The unspoilt coastline is perfect for laid back and lazy days sampling the fresh catch of the day, or take the picturesque drive to the tiny fishing harbour of Pomos. * Flight & car hire / transfers available as a supplement. Excursions available. Situated in an elevated location, accessed via a track road, this villa boasts stunning views over the Island of Gozo from your pool terrace. Situated Just a ten minute drive to the Capital town of Victoria, which offers many shops, bars, restaurants and cafes, the farmhouse enjoys a quiet and secluded atmosphere overlooking the towns and villages below, and is a perfect choice for a relaxing peaceful holiday. 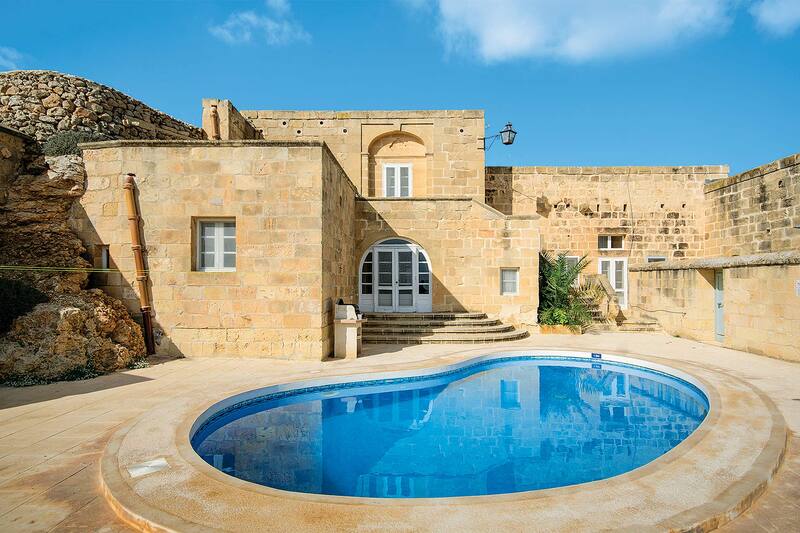 Steps lead down to the villa, which is typically Gozitan in design, with traditional furnishings and plenty of rustic charm as well as a characteristic narrow Gozitan spiral staircase to reach the master bedroom. Outside there is plenty of room for sun bathing on the spacious terrace and there is the opportunity to dine outdoors beside the private pool with those eye catching views in the background. Due to the design of this property it features a typical Gozo unprotected style staircase. We therefore ask that you take extra care when accessing these areas and ensure children are supervised. * Flight & car hire / transfers available as a supplement. Excursions available. View this offer for more photos!….Offering a complete luxury holiday without ever leaving your villa, Palmilla Court really is exceptional. 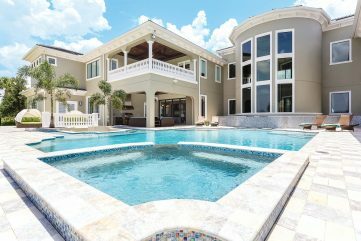 Grand, sophisticated and incredibly lavish, yet completely geared towards fun and relaxation for all ages, this stunning home offers everything you could wish for when sharing a memorable holiday with friends and family. From the outside, the colossal residence resembles a majestic Italian palazzo, with huge pillars, graceful arches and romantic balconies. The breath-taking interior, however, is designed with true modern panache and incredible attention to detail, from the magnificent double height atrium, clad in wood panels with striking twin staircases curving up to the first floor, to the astonishing entertainment facilities. If you’re marking a special occasion and looking to create a magical experience for the whole party, there is no doubting Palmilla Court’s capacity to delight each and every guest. 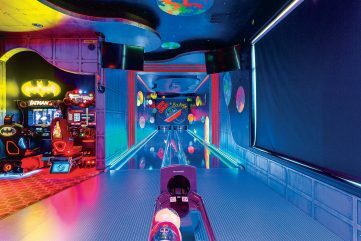 From the private two-lane bowling alley to the ride-on arcade games and full size pool table, the luxurious cinema with tiered leather seating to the indoor racquet and basketball court, it’s a dream come true for kids and adults alike. * Flight & car hire / transfers available as a supplement. Excursions available. 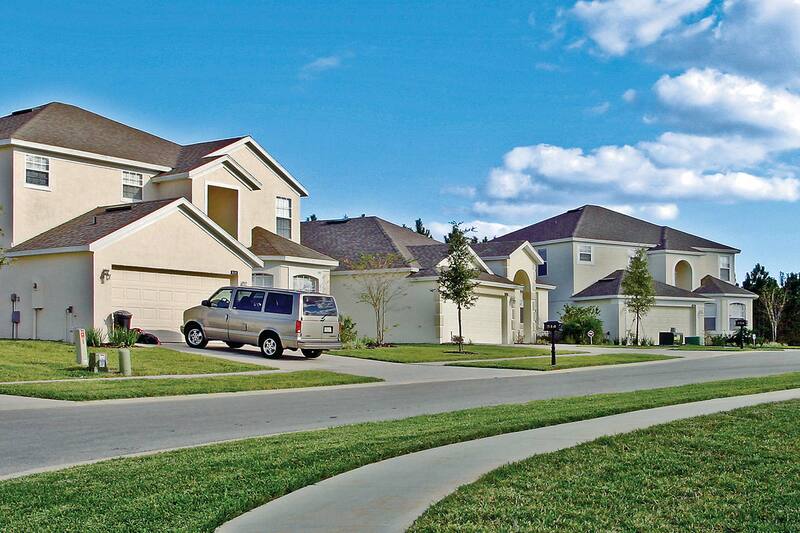 All of our Disney Area Villa resorts are situated within a 30 minute drive of Walt Disney World Resort, providing an ideal base close to the excitement of Orlando. Each villa has been comfortably furnished and offers spacious accommodation with well equipped American style kitchens as well as your own private screened pool. Located in established communities such as Southern Dunes and Four Corners, each property is of a similar style but may vary in layout and furnishings. We have a range of Disney park tickets available also. * Flight & car hire / transfers available as a supplement. Excursions available. Located in the tranquil, sophisticated resort of Puerto Calero with its exclusive marina, Villa Carlota has been thoughtfully designed for privacy, relaxation and fun. With delightful sea views, contemporary décor and all the modern comforts you could wish for, this outstanding property is perfect for a laid-back holiday shared with friends or family. 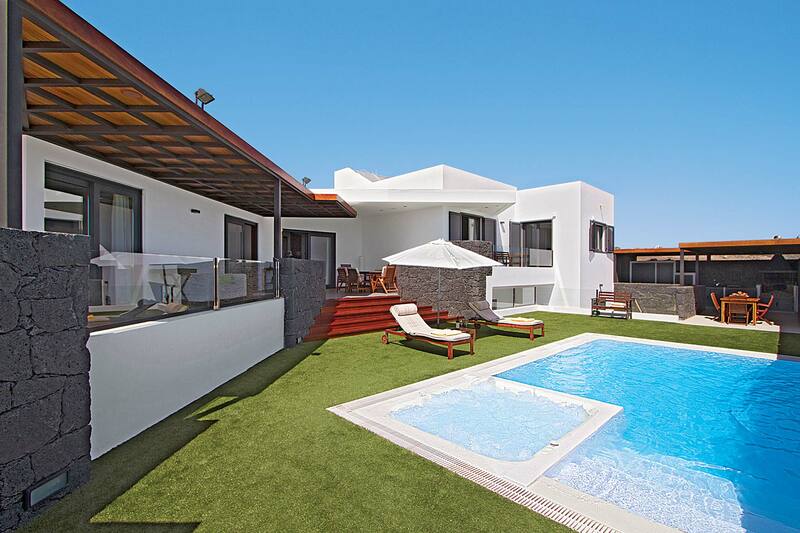 Slick, contemporary and cleverly styled for modern living, Villa Carlota is also ideally located within the exclusive resort of Puerto Calero. With its grounds enclosed by a natural stone wall, the property is wonderfully private while enjoying superb sea views from its huge picture windows and shady veranda. The lovely pool is set in lawned gardens, a Jacuzzi occupying one corner for ultimate relaxation. 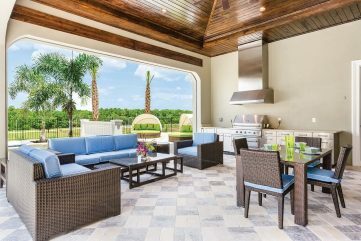 A favourite feature is the fabulous stone-built outdoor kitchen and dining area, shaded from the hot sun by a wooden canopy and fully equipped with a barbecue, fridge, store cupboards and dining suite for chilled-out alfresco meals. * Flight & car hire / transfers available as a supplement. Excursions available. Can Tofol is a welcome addition to our villa collection in Alcudia and is conveniently located within a short drive of the lively amenities of the main resort whilst quieter days and evenings are equally close to hand in Mal Pas and Bonaire. There are two lovely, relaxing, coves at Sant Pere and Sant Joan and the busy and endless beaches of Alcudia and Playa de Muro lie in the other direction. The house itself is private and well equipped with the emphasis very much on alfresco living, either on the cool shaded porch, the fantastic barbecue house or simply lazing by the cobalt waters of the Roman style swimming pool. Inside, the villa is comfortably furnished and includes a fully fitted kitchen and air conditioned bedrooms. Outside, by the swimming pool, there is an annex apartment featuring an en-suite bedroom and dining area for enjoying meals cooked on the barbecue. * Flight & car hire / transfers available as a supplement. Excursions available. Ideally situated within walking distance to the beach, along with other amenities and tastefully furnished to the highest specification is Villa Milho. Decorated with families in mind this spacious five bedroomed villa includes plenty of games facilities to keep the kids entertained, a separate children’s pool and air conditioning throughout for your comfort. 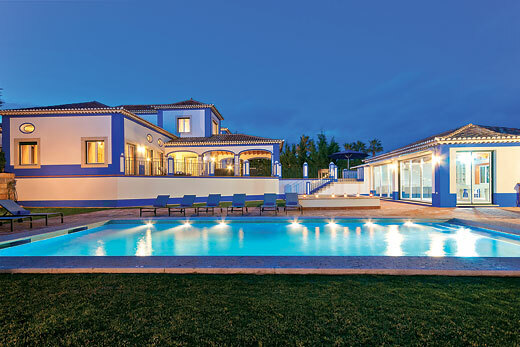 Villa Milho is the ideal residence for those who enjoy outdoor living a large private pool is surrounded by spacious terraces, build in barbeque, games room and plenty of outdoor furniture to relax in the Algarve sun. * Flight & car hire / transfers available as a supplement. Excursions available. This beautifully restored manor house is steeped in history and has been owned by the same family for over 200 years. It is situated in 25 hectares of private land with many pathways to enjoy a leisurely stroll or morning jog. A few kilometres away you will find the small village of Monterchi which has a minimarket, pizzeria and a pharmacy, or Arezzo is a 40 minute drive which is a great city for shopping and sightseeing. The house itself is unique with period furniture combined with modern comforts including Wi-Fi and table tennis equipment for your enjoyment. The pool is drenched in warm Tuscan sun all day and nearby stands the hot tub shaded by the gazebo. 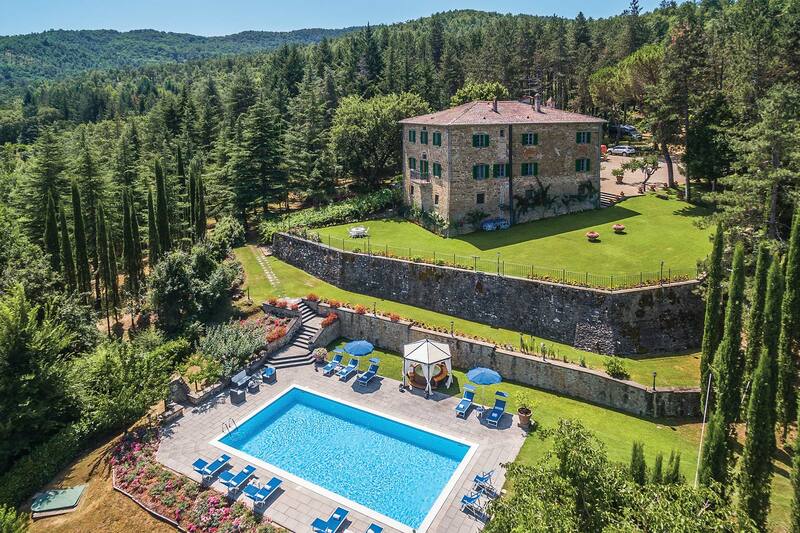 There are panoramic countryside views that can be enjoyed from all angles of this property. * Flight & car hire / transfers available as a supplement. Excursions available. Get ready for this fantastic 9-room (5 bedroomed) semi-detached house located in Veprinac, Croatia. The property is 245 m2 on 2 levels on a south facing position. It has tasteful furnishings boasting a living room 30 m2 with satellite TV (flat screen), DVD and air conditioning. Exit to the terrace. Dining room 31 m2 with air conditioning, Open kitchen, 2 showers/bidet/WC. Upper floor with living/dining room 60 m2 with satellite TV (flat screen), DVD and air conditioning. To finish this off it also has an 18 m2 fully furnished terrace with barbecue, deck chairs (12), box-room giving an amazing panoramic view of the sea and the countryside. * Flight & car hire / transfers available as a supplement. Excursions available. 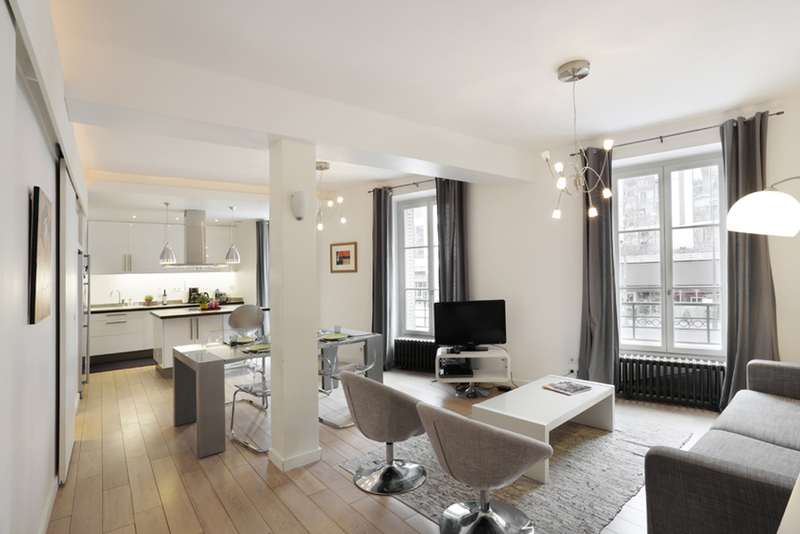 In the heart of Montparnasse, right next door to famous cafes such as La Coupole and Le Select, this fully renovated 110 square meter apartment is a real gem. 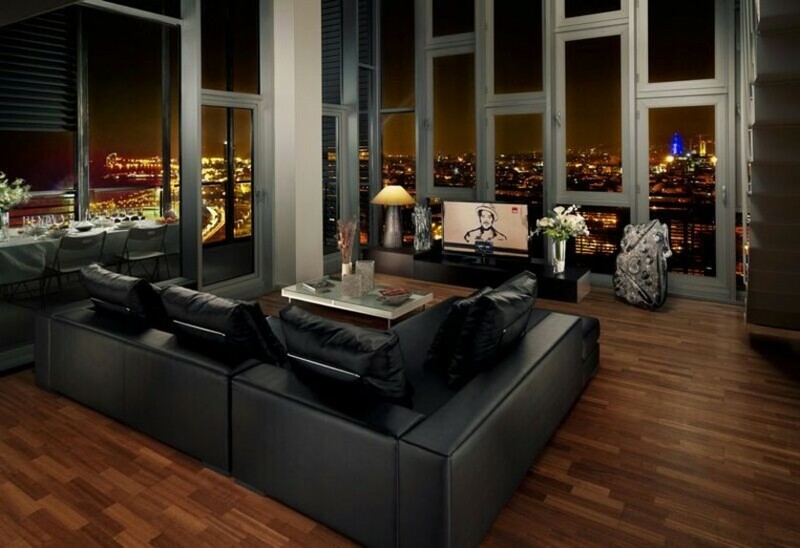 The living room is around 40m2 and will pamper you from the start. It includes lounge area with quality sofa bed, flat screen TV, cable, DVD player, a desk with WiFi, as well as a dining area for up to 8 guests. The room is bathed in sunlight thanks to its four large French windows overlooking the street. The open kitchen with an island unit is fully equipped with vitroceramic stovetop and oven, dishwasher, electric coffee maker and kettle, toaster, large fridge with freezer, dishes, utensils and all the cutlery needed for hosting a dinner. A large hallway with closets leads to the other rooms in the apartment, which can accommodate up to 8 guests total. * Flight & car hire / transfers available as a supplement. Excursions available. Stay right in the heart of the district Marais, which is one of the most beautiful ones of Paris, because it is part of the “ancient areas”. 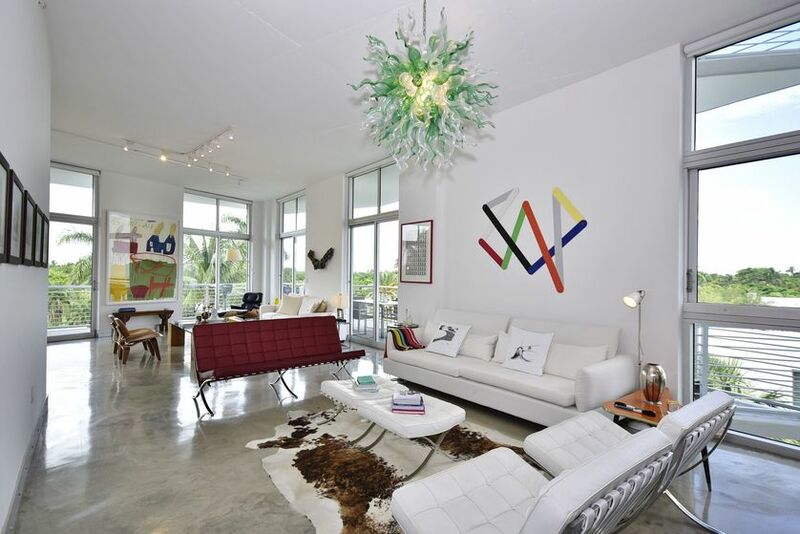 You will be surrounded by antique salesmen, art galleries, as well as restaurants, bars and fashion stylists. 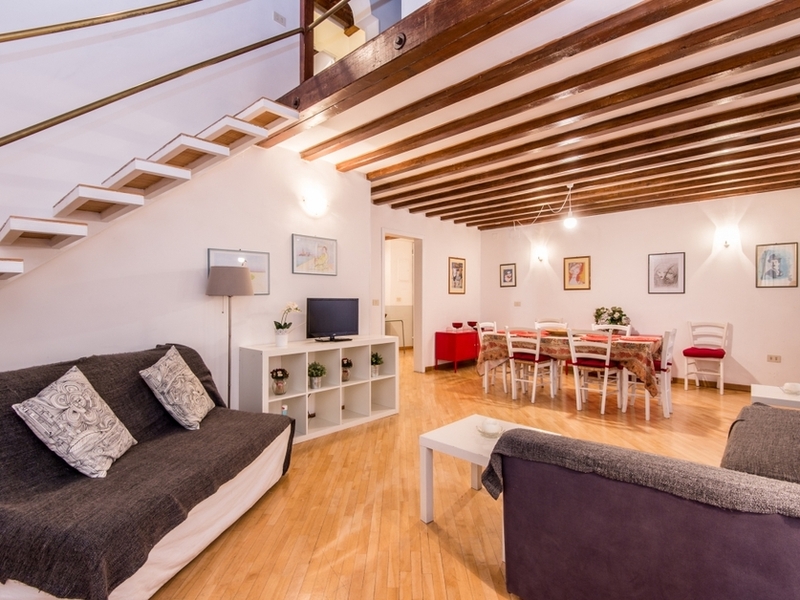 Benefit of this apartment situated in the peace of an inner courtyard, you will be enchanted by the exposed wooden beams and the spacious surrounding. * Flight & car hire / transfers available as a supplement. Excursions available. 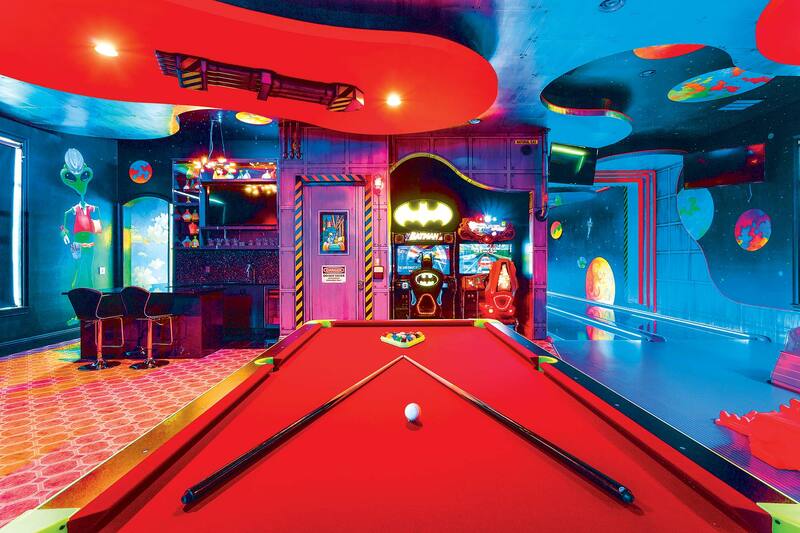 Get lost in the splendor of Los Angeles nightlife with this incredible rare gem just steps away from Sunset Strip. This West Hollywood gem gives you walking access to great locations such as Bristol Farms Grocery, coffee ships, bars, restaurants, yoga studios, and so much more. With modern decor throughout, this three bedroom space features a cozy and spacious open floor living room that seamlessly connects to a fully featured kitchen. 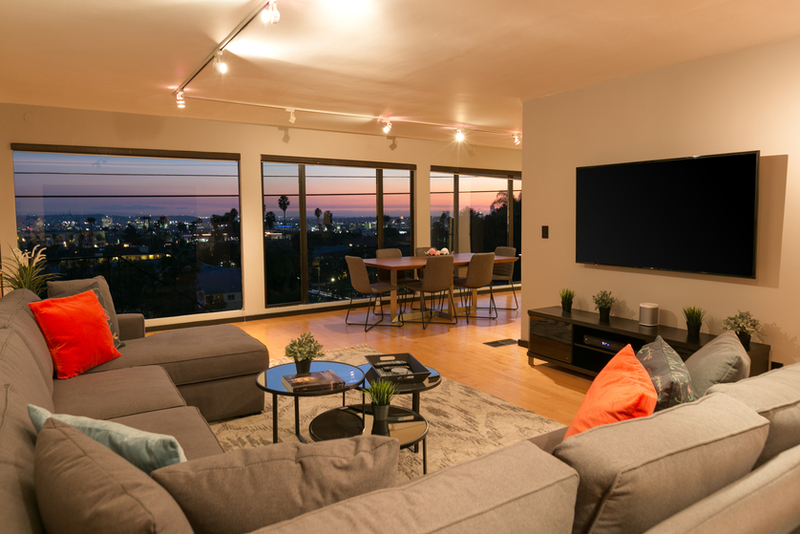 Incredible views of the LA skyline are just a turn of the head away, giving you endless inspiration as you sit and contemplate your next move. A cozy and comfortable dining room seats six, while the kitchen has all of the stainless steel appliances needed to assemble a feast. Large, spacious bedrooms give all guests the perfect way to stay. Beautiful bathrooms can be found throughout the home — tastefully decorated and equipped with modern furnishings that will appease the eye. Gorgeous neutral tones and wooden elements can be found throughout the lower levels of the house, emanating a natural sheik. A wonderful outdoor dining area with plenty of seating and a hot tub ensures you’ll stay happy from dusk till dawn. * Flight & car hire / transfers available as a supplement. Excursions available. * Flight & car hire / transfers available as a supplement. Excursions available. 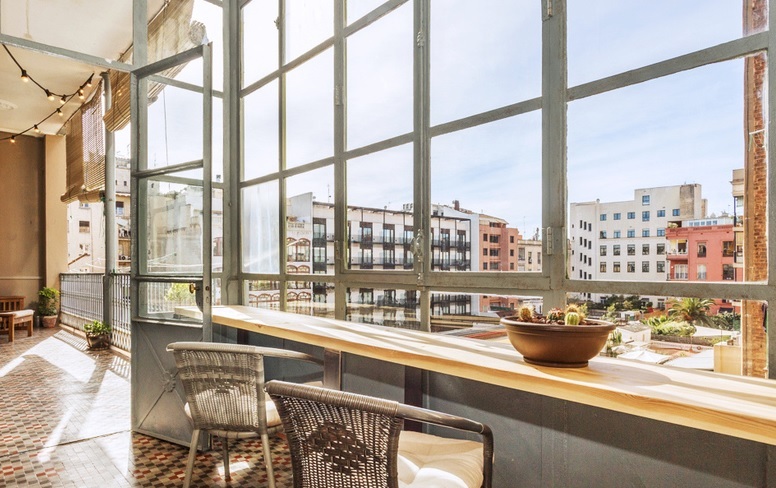 This apartment in Barcelona is spectacular, with its French Windows, where you can see the beach, especially from the rooms. The materials and finishes are top quality and the furniture is designed with good taste. Apartment of 180 m2 + 30 m2 of Terrace, with capacity for 6 people, located in an exclusive residential area, in front of the beach, and with good connections to both the city and the historical area. Contains a large and bright dining room of 40 m2 with stunning views – sunny and furnished, 1 bedroom with one double bed , 2 single bedrooms with one bathroom each and two beds per room, Also has a pool and a garden, Paddle courts, Security service 24 hours day, This is the perfect place to enjoy with your family or in small groups of up to 6 people. * Flight & car hire / transfers available as a supplement. Excursions available. 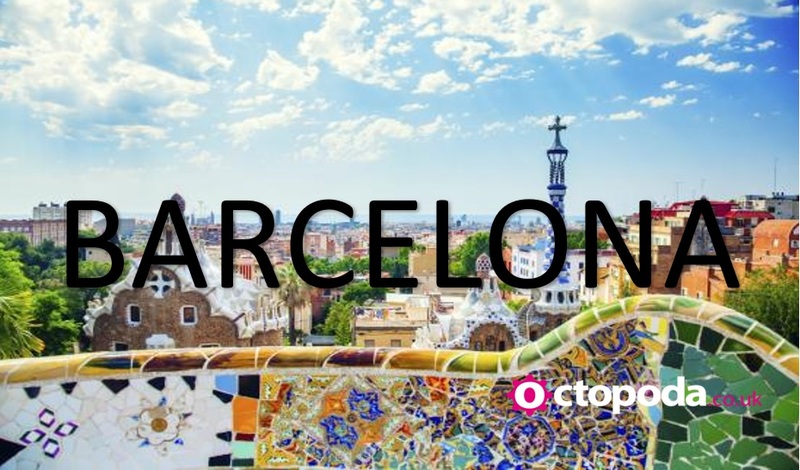 Stay in the heart of Barcelona in this apartment for 8-18 guests, with balcony views of the city! A modern, spacious apartment (350 square meters, renovated in 2016) welcomes between 8 and 18 guests with a private, fully equipped kitchen that allows you to prepare your own meals before heading out to explore the city. 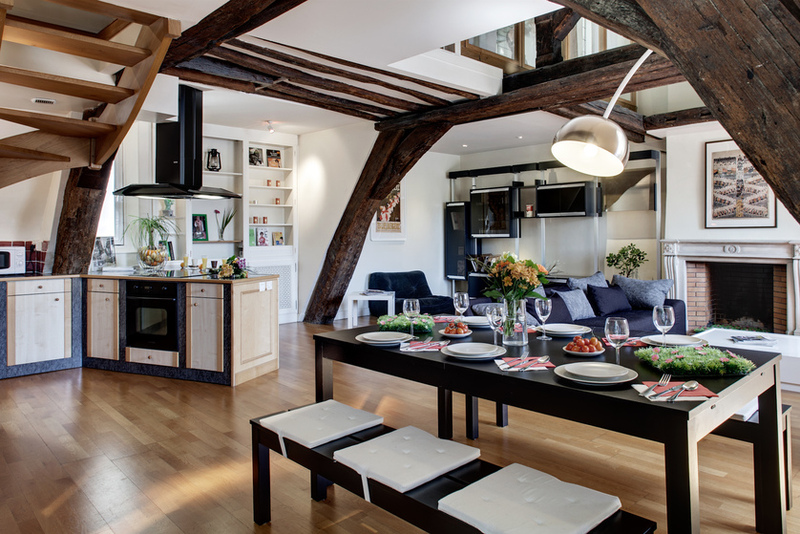 After a day spent wandering the streets of the Gothic Quarter, retire to the apartment in a comfortable living room with leather sofas and multiple dining tables. The listed price is for four bedrooms; however, up to nine bedrooms can welcome up to 18 guests (for an additional fee) in the following arrangements: (1) one double bed, (2) two single beds, (3) two single beds, (4) one double bed with ensuite bathroom, (5) two single beds, (6) two single beds, (7) one double bed with ensuite bathroom, (8) two single beds with ensuite bathroom, and (9) two single beds with ensuite bathroom. To rent more than 4 bedrooms, please inquire for the prices. Wi-Fi is available throughout the apartment and is included in the rental price. * Flight & car hire / transfers available as a supplement. Excursions available. 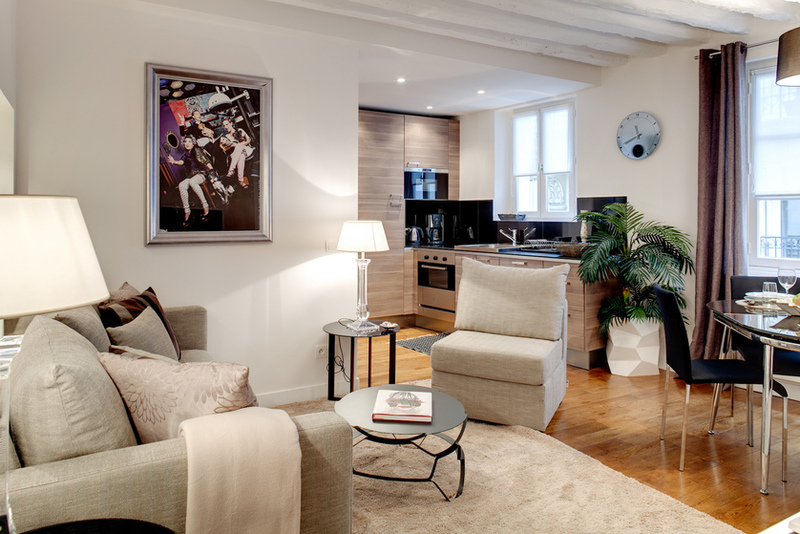 Be right in the heart of the Marais, which is one of the most animated and popular districts of the capital. Like this you will be able to discover the old-fashioned convenience stores of the street ” rue de Bretagne ” with its famous market ” Marché des Enfants Rouges “. You can also visit the Picasso museum, the Museum “ Arts et Métiers” or even the centre of Georges Pompidou. At the end you can stroll along the paths of the luxurious square “Place the Vosges”. You got it right, the whole Parisian charm is just a few minutes from the apartment and many other monuments wait for you, such as the cathedral “Notre-Dame” or even the “Musée du Louvre”. The apartment, which we propose, was completely decorated by an interior designer, who took special care to offer you a warm, modern and trendy atmosphere. Situated in the peace of an inner courtyard, your stay will be under the sign of tranquilité and relaxation. * Flight & car hire / transfers available as a supplement. Excursions available. Small apartment block “Vittoria Enchanting”, 3 storeys. In the centre of Roma, in the district Piazza di Spagna, in the heart of the city. Shop 50 m, grocery, restaurant 100 m, bar 50 m, bus stop “Corso San Gicomo” 250 m, railway station “Termini” 3.2 km, underground station “Spagna” 450 m. Nearby attractions: Piazza del Popolo 650 m, Fontana di Trevi 1 km, Trinità dei Monti 450 m, Piazza Navona 1.4 km, Castel Sant’Angelo 1.5 km. Please note: car not advisable, no lift. On request: airport transfer to the holiday accommodation. The apartment is located in a zone with limited traffic. * Flight & car hire / transfers available as a supplement. Excursions available.